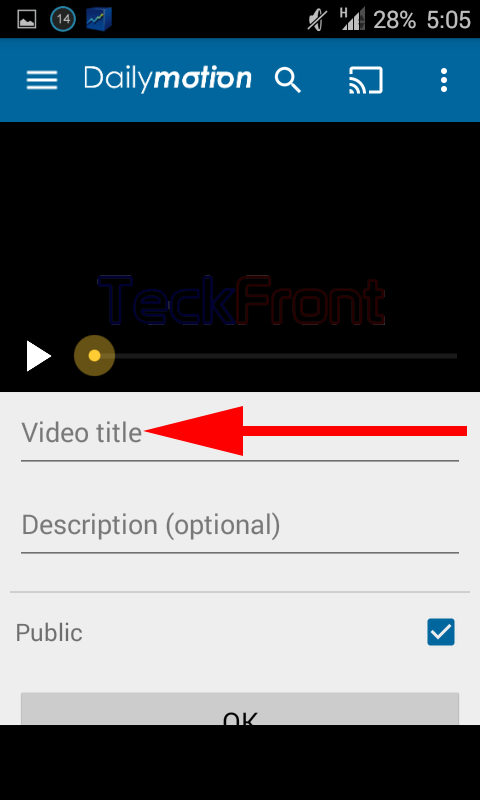 How to Upload Videos on Daily Motion on Android 4.4.4 KitKat Device? Daily Motion app is a free one, available at the Play Google Store, for the users of Android devices. It is an app which helps to connect Android devices with a site, designed for the usage of the people who want to upload their videos on Internet. 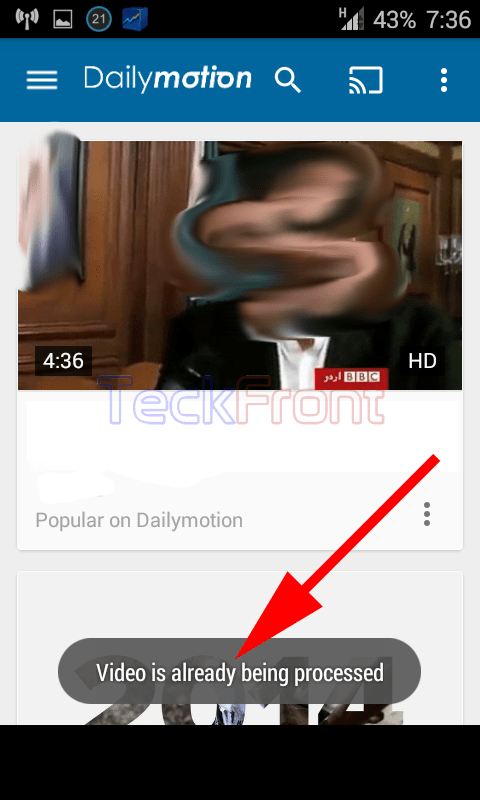 You may upload your videos with ease on the Daily Motion app if the instructions are followed. 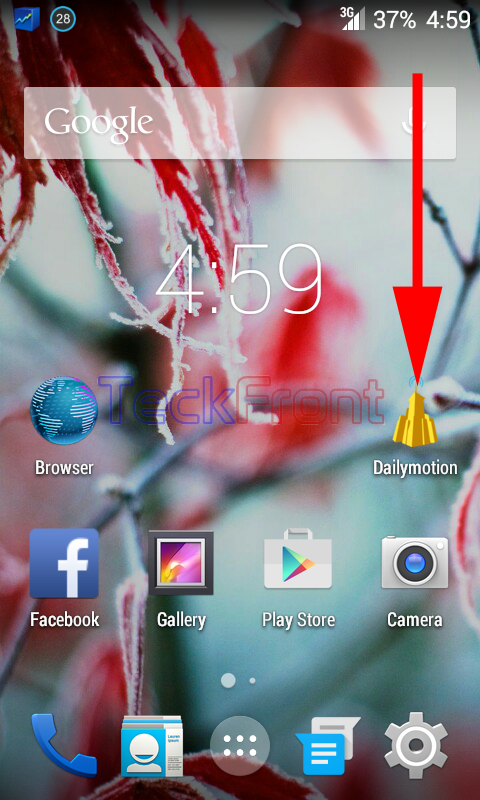 1: Tap the icon of the ‘Daily Motion’ app at the Home screen of your Android 4.4.4 KitKat device to open the ‘Daily Motion’ screen. 2: At the ‘Daily Motion’ screen, tap the settings popup menu button, given at the top right corner of the screen below the status bar. It will open up a popup menu. 3: Tap the ‘Sign in’ in the popup menu to sign in with the ‘Daily Motion’ mechanism. 4: At the ‘Sign in’ screen, better it is to log in with Facebook. 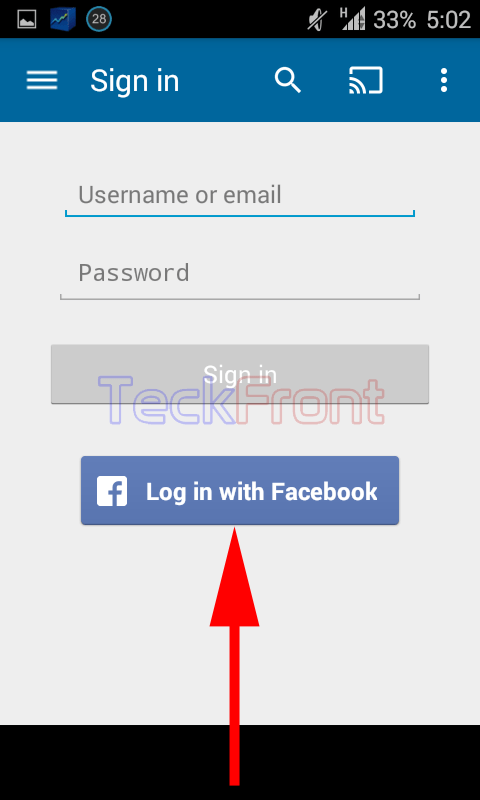 Tap the ‘Log in with Facebook’ button. You may log in with other username or email as well. 5: After you log in with Facebook, tap the settings popup menu button, once again. 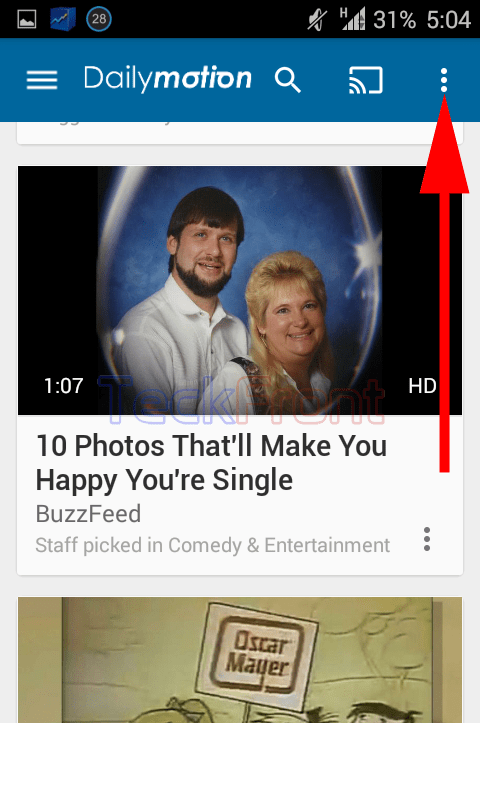 6: Tap the ‘Upload’ in the popup menu. 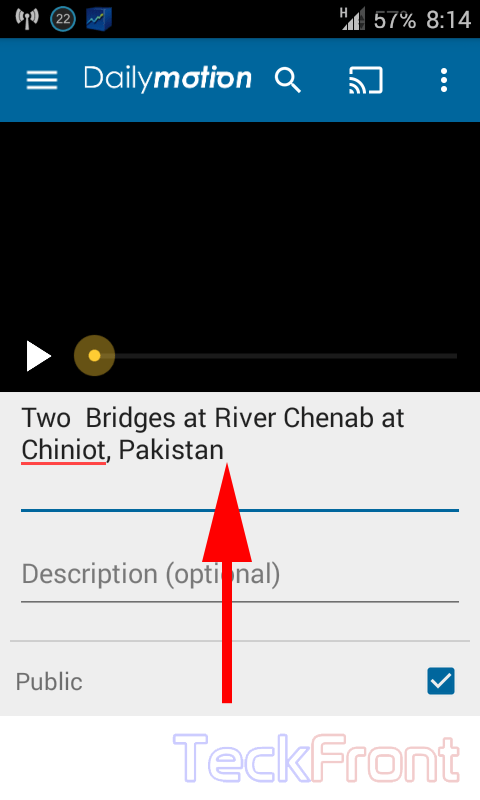 7: Now, app will take you to the screen with option to select the video from different options. 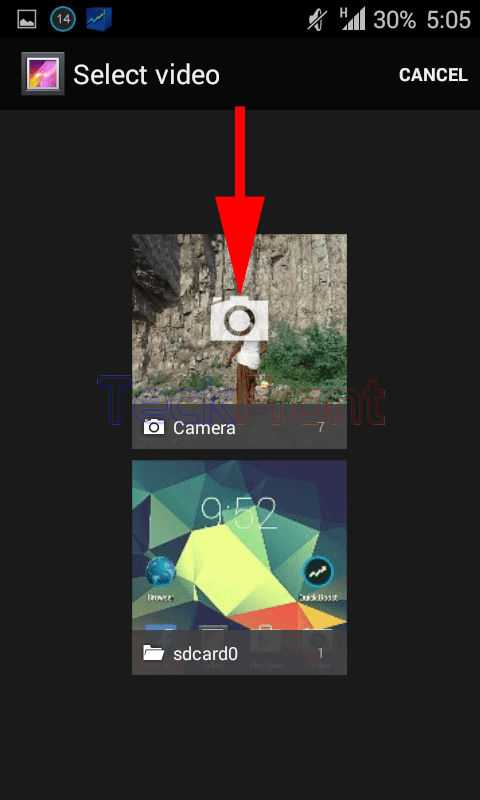 I selected ‘Gallery’ as it was already in the ‘Gallery of my Android device. 8: In the next screen, you will be asked to select the destination of video; either from ‘Camera’ album or from the SD card destination. As I have just two storage destinations for the storage of my videos in Android device. I selected ‘Camera’ but you may select the destination of your choice. 9: From the many videos, select the one which you want to upload to ‘Daily Motion’. 10: Before the start of upload process, write the ‘Video title’, with the help of the keyboard and the ‘Description’ which is optional. If you want the video to be available to the public, tap to check the ‘Public’. 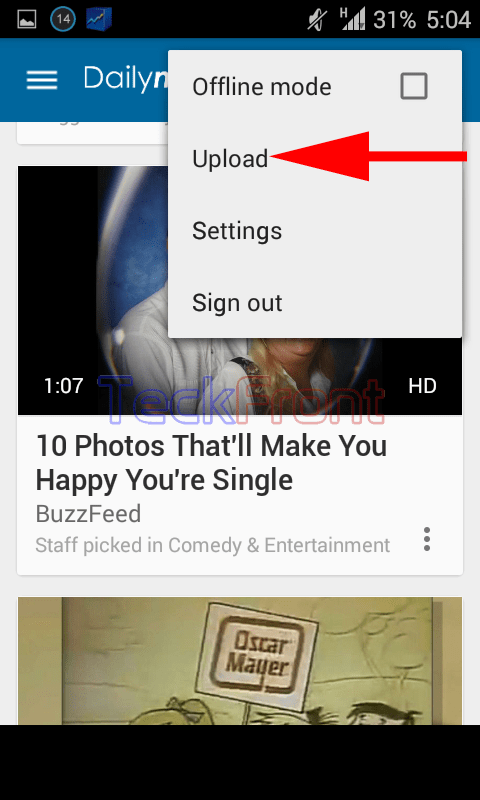 11: And tap ‘OK’ to save the settings and upload the video. 12: The next screen will inform you about the status of the processing at the ‘Daily Motion’. After the due course of processing, your video will be uploaded and available to the public to view at ‘Daily Motion’. Newer How to Manage Popup Notification of Apps on Screen in Android 4.4.4 KitKat? Older How to Clear Navigation History from Chrome in Android 4.4.4. KitKat?